The practice of Yoga is both an art and a practical science. It teaches us to use breath and body to establish a connection between our mind, body and spirit. Yoga helps us expand our awareness and connect us to our true self, also known as our divine essence or ‘Atman’. It helps us restore balance to lead a peaceful and healthy life. Maharishi Patanjali expounded the practice of yoga as a means to evolve the human consciousness in a sacred text called The Yoga Sutras, which puts emphasis on the inner working of the mind and provides an overview of mastering the mind so as to taste lasting peace. 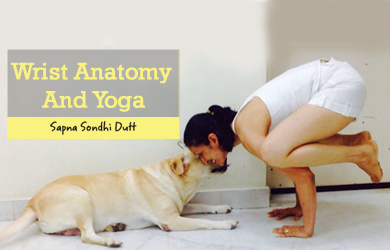 Ashtanga Yoga forms the core of Patanjali’s Yoga Sutras. “Ashta” means eight and “Anga” means limbs. 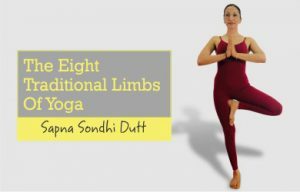 The term means “The Eight Limbs Of Yoga” and refers to the eight-limbed path that forms the framework for the practice of yoga. Ashtanga Yoga lays out the path of internal purification and strengthening which is attained through eight spiritual steps. These eight steps act as ground rules for living a meaningful and purposeful life. Each step should be mastered before moving on to the next one. The first four limbs deal with external cleansing methods and are followed by higher practices. The first two limbs, Yama and Niyama, form the fundamental ethical principles. Yama is concerned with the attitude we have towards people and our interaction with the world outside us. Yama is more concerned with ethics, integrity, and how we apply the principles of yoga in our daily life. The five Yamas are Ahimsa, Satya, Asteya, Brahmacharya, and Aparigraha. The word “Ahimsa” literally means nonviolence and stands for compassion for all living beings. From the standpoint of yoga, it means kindness and consideration towards other people and things. “Satya” means truthfulness and honesty. It is based on the doctrine of transparent communication being the foundation of a healthy relationship. “Asteya” translates to not stealing or taking anything that does not belong to us. When someone confides or trusts us with something, we must not take advantage of them. Practicing Asteya means keeping a conscious check on how we demand others’ time and attention. In other words, not taking anything that is not ours or not given freely to us encompasses the practice of “Asteya”. “Brahmacharya” includes forbearance, fortitude, straightforwardness, moderation in diet and bodily purity. The overall significance of Brahmacharya lies in self-control. The practice of “Aparigraha” means to acquire only what is necessary, in terms of wealth. It teaches us not to be greedy, letting go of our attachment to things and realizing that everything is transient. To instill these values, we can make it a habit of choosing one Yama on a weekly basis and implement it in thought, speech, and action. Niyama encapsulates personal mode of conduct, self-discipline, actions towards ourselves and spiritual observance. Someone who chooses to practice Niyama wishes to advance further on the yogic path and wants to build character. Just like the Yama, we have five types of Niyama. The first one is “Saucha” which means purity and cleanliness. It deals with the cleanliness of both the mind and body. The next aspect of Niyama is Santosha or Contentment. We should understand that there is a deep meaning to everything and accept life’s challenges while being satisfied with what life serves us. Tapas or the disciplined use of our energy directs us towards realizing our single-minded goal of uniting with the divine. The core idea is to burn all desires that stand in the way of this goal. The fourth Niyama is Swadhaya which pertains to self-reflection and self-awareness. It includes studying the nature of one’s own mind and perceiving the true nature of one’s reality. Isvarapranidhana is the fifth and the last Niyama. It connotes the realization of a higher power guiding us through life. We all are familiar with asanas or physical postures practiced in yoga. The practice of asanas is significant for both the body and the mind. The process of moving the body into postures has physical benefits such as a healthy body, balance, flexibility, and strength. The Sanskrit word “Asana” literally means staying or abiding. Asanas provide a medium to calm the mind and channelize our emotions, intent, focus, faith and unity with our divine self. They help to expand our consciousness and create a balance between our material and spiritual realm. They bring us closer to our physical body and awakens us to the responsibility of listening to the undeniable wisdom of the body. The word “prana” translates to energy or the source of life. It is defined as the essence of life or the energy in the universe around us. ‘Prana’ also refers to our breath and “Pranayama” to breath control. This includes inhalation, holding the breath and exhalation. Pranayama allows us to master our breathing and perceive a connection between our mind, breath, and emotions. An indispensable aspect of yoga, pranayama goes hand in hand with asanas or yoga poses. Yoga practitioners follow a rhythmic pattern of slow deep breathing that stabilizes the nervous system and leads to a peaceful mind. The next three limbs deal with internal purification and are discussed below. “Pratya” means to withdraw. “Pratyahara” refers to the withdrawal of the five senses which means making a conscious effort to take our awareness away from the external world. We cultivate a sense of detachment and focus inwards. At this stage of yoga, we are able to take a step back and experience the inner domain of the mind. “Dharana” means focussed concentration. As we master the state of Pratyahara, it prepares us for Dharana. Having withdrawn ourselves from outside distractions, we can now deal with the distraction of the mind. This phase of concentration precedes that of meditation. It enables us to slow down our mind by focussing on a single object, energy centers of the body called chakras or even the repetition of a sound. Tratak or candle gazing, visualization, and chanting of a mantra are different forms of Dharana. “Dhyana” is meditation or perfect contemplation. Prolonged practice of Dharana leads to Dhyana or complete absorption in the object of meditation. In the state of meditation, the mind becomes still and there are very few or no thoughts at all. Reaching this state of stillness requires a lot of perseverance and strength. Meditation allows us to be keenly aware and perceives reality in the true sense without our illusions. The final stage of this journey of Ashtanga Yoga is “Samadhi” or superconscious awareness. The practitioner experiences a profound connection with the divine and interconnectedness with the universe. However, we should not assume this to be escapism or float away in a state of ecstasy. Rather, it is a stage of complete realization of the truth of life that looms in front of us. It is an ability to see clearly without being clouded by our conditioning, judgment, likes, and dislikes. It amounts to freedom from the need to being attached to something or someone and seeing reality exactly as it is. 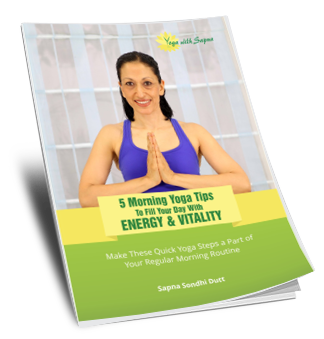 Most of us familiar with yoga are usually aware of asanas and pranayamas. But yoga does not merely consists of these two aspects. It goes beyond and expounds the practice of healthy living at the physical, mental, social and spiritual dimensions. Yoga concerns itself with the evolution of the mind. The highest goal of the practice of yoga is our spiritual transformation accompanied by a state of perfect tranquility. 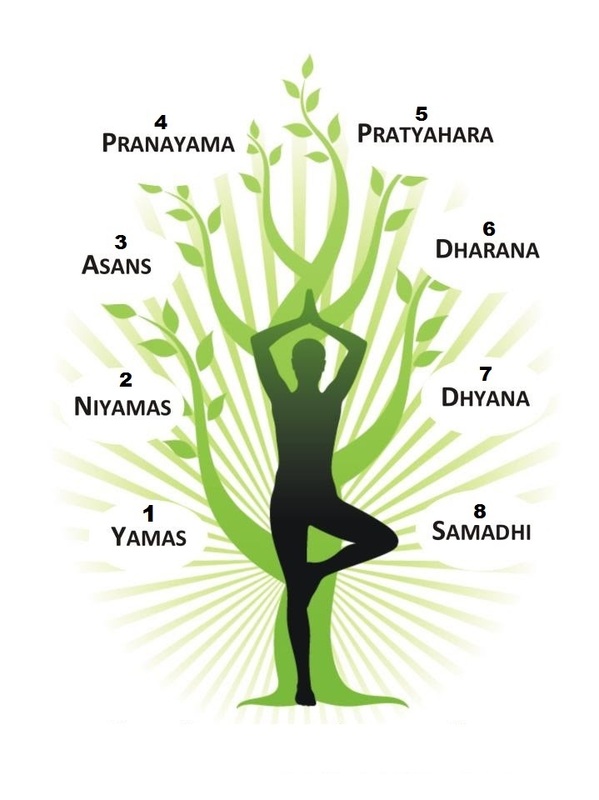 The eight limbs of yoga are not strictly compartmentalized. They merge with one another and each is a part of the holistic approach to bring about a sense of completeness within us.